Ahead of the meeting between Prime Minister Manmohan Singh and Chinese President Hu Jintao, India on Tuesday said trade imbalance in favour of China was a matter of concern and India had sought greater market access to bridge it. The issue is expected to come up during the talks between Singh and Hu tomorrow in the Chinese resort of Sanya on the sidelines of Brazil-Russia-India-China-South Africa (BRICS) Summit. 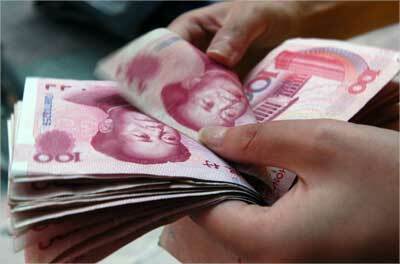 "Trade imbalance with China has been a matter of concern. 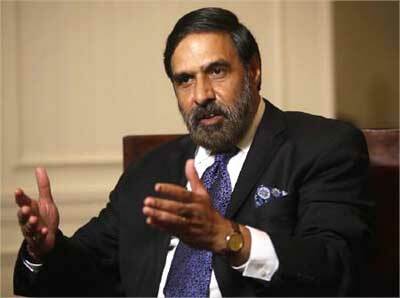 It has been discussed at the highest level when the Prime Minister met Chinese President in Hanoi in October last," Commerce and Industry Minister Anand Sharma told journalists accompanying the prime minister. He noted that the trade imbalance in favour of China had gone up to $20 billion in the overall bilateral trade of $55 billion as of December 2010. The imbalance was about $16 billion till 2009. 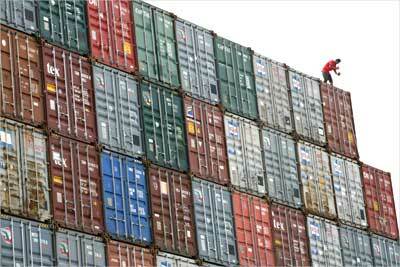 Image: A worker inspects a container. Pointing out that the prime minister had termed the imbalance as "untenable", Sharma said India had sought more access in Chinese markets across the board so that the gap could be bridged. He said China had assured India that it would give access through government contracts in sectors like pharmaceuticals and IT. "We are trying our best to close the gap," said Sharma who was travelling with the Prime Minister to attend the BRICS Summit and the preceding BRICS meeting of Trade and Economy Ministers. To a question, Sharma said India welcomes investments from everywhere, including China. When pointed out that India had barred Chinese investments in certain sectors citing security concerns, he said some areas were sensitive in the context of national security and it was not specific to China. Image: Commerce Minister Anand Sharma. In this regard, he noted that in December 2009, India had banned import of all mobile phones which did not have IEMI numbers (specific numbers that a handset carries which enables tracking it in case of a need). With regard to China pushing Yuan as an alternate to dollar as currency exchange for trade, Sharma said such a stage had not been reached to warrant a comment. National Security Adviser Shivshanker Menon said the BRICS countries, at the upcoming Summit, would be signing an agreement under which the five member countries could grant credit among themselves in own currency. On making Yuan as the international reserve currency, Menon said it was a larger issue that could not be settled by five countries. Image: A shop assistant checks hundred yuan bank notes at a shop in Xiangfan. Sharma said the BRICS countries, which are fastest growing economies and projected to contribute 48 per cent to the global economy in the next decade, would discuss their role in addressing the international financial and economic crisis. As part of the evolution process of BRICS, the Trade and Economy Ministers would be meeting for the first time to take stock of the international economic situation and their inputs would go to the Summit on Thursday. 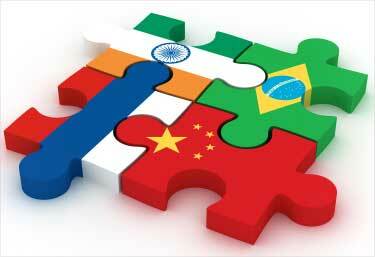 The BRICS countries have been pushing for restructuring of the global financial architecture to make it more representative. China imported highest amount of grain in history! China's gross national income rank at 125!